Is a Balance Transfer Or Personal Loan the Best Way to Consolidate Debt? Personal Loans > Resources > Consolidate Debt > Credit Card Refinancing > Is a Balance Transfer Or Personal Loan the Best Way to Consolidate Debt? It is more than possible to free yourself from higher-interest credit card debt on your own budget and at your own pace. There are many great options, such as balance transfers and personal loans, to help you get financially fit. Before you take any action, however, it’s best to consider all of your options, and you should choose the one that’s right for you. That includes taking into consideration the many benefits and differences between balance transfers and personal loans. When you’re considering how to consolidate credit card debt, there are two primary routes you can take – balance transfers or personal loans. A balance transfer to a credit card with a 0% introductory APR can be a smart move. For expenses that you can pay off during the 0% APR term, a balance transfer is a great tool to get rid of your higher-interest debt, especially if you can pay it off before the promotional interest rate expires. A good way to determine if you can pay off higher-interest debt is to figure out how much you can afford in each payment and the total amount you owe. Then divide the total debt by the monthly payment, which will give you the number of payments you have to make. If you find you need to make 12 payments, for example, a balance transfer to a credit card with an introductory 0% APR for a year could be a great pathway to reduce debt. Many credit card companies may offer a 0-3% introductory1 interest rate on balance transfers that may last anywhere from 6-18 months. After your introductory period is up, your APR will increase to your standard rate. This is something to consider if you carry a large balance and can’t pay it off within the time allotted for your balance transfer. These fees are added to your balance and can add up. The average American credit card debt is roughly $7,4002. If you have a 3% transfer fee on this balance, you’re looking at adding $222 to your debt. Balance transfers can be a useful tool for debt consolidation, but there are limits to what you can transfer. If you have $20,000 in higher-interest debt, for example, a balance transfer may not be your best option because it could far exceed the credit limit on your new card. For higher balances, a personal loan may be the better option. For many, using a personal loan for debt consolidation is also a great option. While credit card consolidation loans won’t offer a 0% introductory rate, you will have peace of mind knowing that you have a fixed APR, giving you a steady monthly payment over the life of the loan. Plus, you will know exactly how long it will take you to pay it off because you get to choose the term to ensure payments fit your budget. Personal Loans may be a great option for credit card consolidation, but it is important to research and compare lenders. Some lenders do charge origination fees that can range from 1% to 5% of the total loan amount. For example, taking a loan with a lender like Lending Club could cost you $618 in origination fees, and a loan with Prosper could cost you $594 in origination fees3 . Some other lenders, like Discover Personal Loans, do not charge any origination fees, closing costs or prepayment penalties, and so it may be to your benefit to explore those lenders who don’t charge these kinds of fees. Many lenders have requirements around minimum amounts for personal loans. With a Discover Personal Loan, you can request any loan amount from $2,500 to $35,000. However, if you are looking to consolidate less than $2,500 of debt, then a balance transfer may be more of an ideal solution for you. So What Is The Best Way to Consolidate Debt? 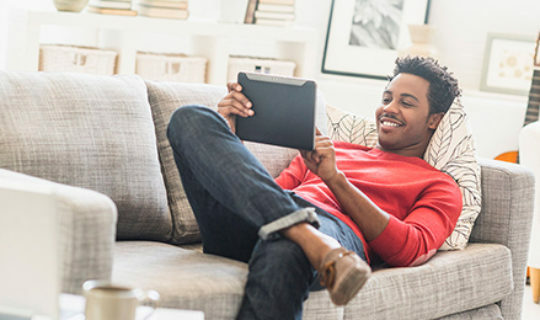 When you’re considering a balance transfer or personal loan, it’s smart to look at the benefits, costs and differences with each. Discover what you can afford to pay and see which option works best with your budget. Typically, for lower debt balances that you can comfortably payoff in 1 to 2 years, a balance transfer may be your best solution. You could get the benefit of an introductory 0% APR where you could save on interest for a short term. However, for higher debt balances of $3,000 or more, a personal loan may be ideal. You will have a fixed APR and a consistent monthly payment over the life of the loan, and you can choose a term to ensure payments that fit your budget. Balance transfers have been used for a long time by people who want to consolidate their debt. In addition, personal loans are also becoming a growing trend in America4 and it’s thanks to the flexibility they offer. 3. Origination fee estimates are based on average origination fee % listed in company filings (10-Q).